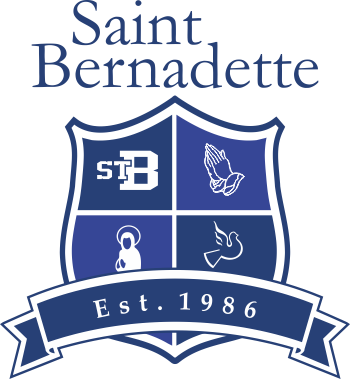 At St Bernadette’s we are grateful for the many dedicated and hard-working volunteers. Our school community grows with the contributions of each person’s skills, talents and interests. The Parent Participation Program not only helps with the general operations of the school but it also fosters a sense of community as everyone works together to create a positive learning environment for our children. Involvement in your child’s education takes many forms, one of them being taking part in our Parent Participation Program. This program plays an integral role in the operation of our school. Our school community grows with the contributions of each person’s skills, talents and interests. This program also fosters a sense of community as everyone works together to create a positive learning environment for our children. However, not all circumstances do prevent some families from participating. All families who choose not to participate in our Parent Participation Program, (i.e., bingo, PREP, playground supervision, teacher aide, and special duties), must pay $800 per year in lieu of participation. We depend on you being there to do the assigned task and our children’s safety depends on you. If you cannot fulfill your assigned duty at any given time, it is your responsibility to find someone to fill in for you. As active school community members, parents/caregivers are required to participate in one or more areas as needed by the school (see below). Further details are provided with the annual (re)registration package. A minimum of 40 hours per year (as defined by a yearly cycle beginning on May 31st preceding the school year in question) is required from each family for fulfillment of the Parent Participation Program responsibility. Completed hours are to be recorded on a regular basis via the school website. When it comes time to complete your task, be sure to sign in at the school office or with your activity coordinator as those sheets get submitted for verification of time completed. Committing to participation such as Bingo, PREP, Playground Supervision, Classroom Helper, Classroom Representative and Library are scheduled activities and require year-long commitments. This commitment must be honoured for the entire school year – parents may not switch to unscheduled participation once they are given their assignments. Participation in school events and projects such as Fundraising, Maintenance, Field Trips and Transportation, Hot Lunch and Special Events, etc are unscheduled activities and are not year-long commitments. It is the responsibility of these parents to be aware of opportunities to earn hours by checking OnVolunteers website, the newsletter and our school website for upcoming events. A minimum of 40 credit hours need to be completed by May 31st. If the required hours are not completed by this date, the post-dated cheque in the amount of $800 will be cashed in June. We understand that some families may not be able to participate through hours. As a result an $800 pay in lieu option is available. In the case of a “No Show” to an assigned/registered and schedule task, a $25 fee per task, per person, will be implemented. A “No Show” is when a parent fails to participate in an assigned activity or task without any prior notice given to the organizer of said activity or task. Assigned activities such as Bingo, School Grounds Supervision, Classroom Representative, and Classroom Helper are considered assigned to you for the entire school year. When assigned an activity or event that is a one-off (e.g. Fall Social, Clothing Drive, etc.) you are expected to fulfill your duty for the entirety of that event. It is your responsibility to ensure that you participate as scheduled and fulfill the required number of hours. If, on the rare occasion, you are not able to complete a particular activity/task as scheduled, it is your responsibility to find a suitable replacement or switch days with another parent and to report this change to the coordinator. If you are unable to find a replacement you will be charged the no-show fee. In cases of emergency or illness, where a parent volunteer is unable to fulfill their assigned/registered task, 24 hours is deemed a sufficient amount of time for parents to notify the activity/task coordinator (contact information given at the first meeting) and the parent participation coordinator via email (participation@stbernadette.ca) to be exempt from the no-show fee. Your Parent Participation duty requires that you apply for a Criminal Record Check (CRC) every five years. The Attorney General of British Columbia has taken over all Criminal Record Checks for volunteers in the province. This will facilitate the sharing of CRC results between the organizations which require them for volunteering. Once a CRC has been completed, it can now be easily shared with other organizations such as soccer, swimming, Girl Guides etc. A CRC is free of charge and is completed online. Simply go to the web address below and use the access code specific for our school. Please do not share this code with any other person outside of our school community. The CRC takes very little time, and you will receive a confirmation of the result at the same time that we have it registered with us. If you have any questions regarding the procedure, please contact the school office.